Acrylic paints dry by the water in the paint evaporating. Because acrylic paints dry very fast, particularly in warm climates, you cannot put a lot of acrylic paint on an ordinary palette as it'll most likely dry out before you've finished, wasting the paint. 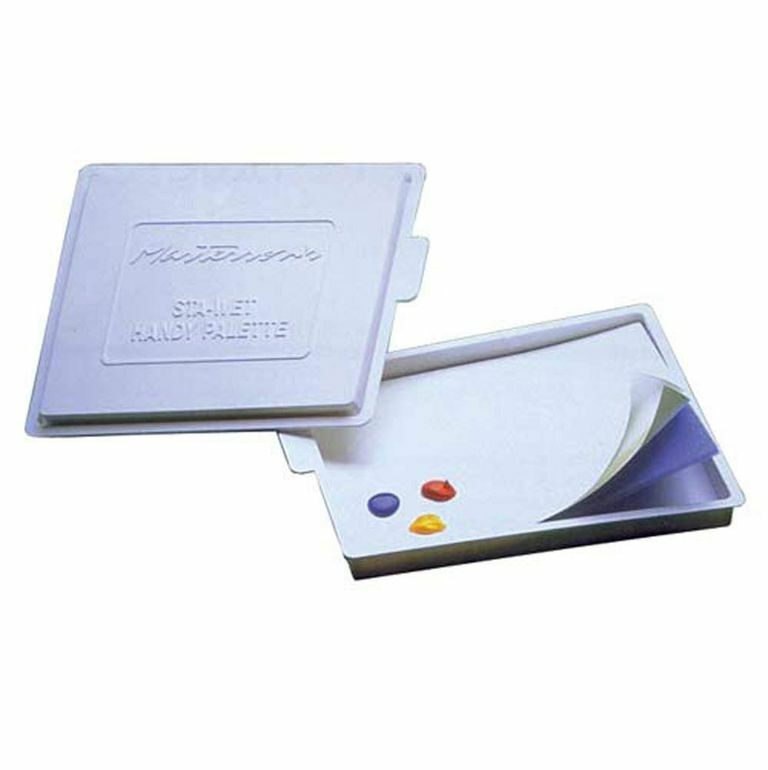 Various art supply companies have produced moisture-retaining acrylic palettes to solve this problem. What they call it varies, for instance, Daler-Rowney's is a Stay-Wet Palette and Masterson a Sta-Wet Palette. How Does a Moisture-Retaining Palette Work? The palettes are made from plastic and consist of a base tray with a tight-fitting lid. A wet piece of watercolor paper (or thin sponge) is placed in the base of the tray to serve as the water reservoir. On top of this is a sheet of greaseproof or baking parchment paper, to serve as a membrane to stop all the water going into the paint immediately. You lay your acrylic paints out on top of the greaseproof sheet. 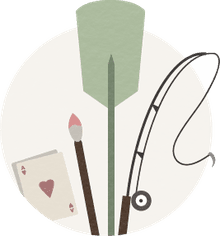 As the water in the acrylic paint evaporates, it is replaced by the water being held in the ​watercolor paper (a process called ​osmosis), so the paint doesn't dry out as fast as normal. What you don't want to use for the membrane is freezer paper, that is paper with plastic on one side. You want​ a paper that's waxed or greasy, this reduces the speed at which the water moves through the paper but doesn't stop it totally. To use a moisture-retaining palette, first thoroughly soak the sheet of watercolor paper with clean water and place it in the bottom of the palette. Dampen the piece of grease-proof paper and place this on top of the watercolor paper. Alternatively, place the two sheets in the palette, cover them with water, leave them to soak for a bit, then pour off the water. Squeeze out a little acrylic paint onto the greaseproof sheet, as you would on any palette. If you place your colors around the edge, the central area can be used for mixing colors. If you're painting with a knife be a little gentler to ensure you don't tear the paper. How Long Does Paint Keep? If you ensure that the piece of watercolor paper in the palette doesn't dry out and place the lid on the palette when you're not painting, reducing evaporation, your paints should stay moist and usable for days. Like most things, once you've used a moisture-retaining palette a bit you'll learn to recognize when you need to add a bit more water to the watercolor paper. The clearest sign is that the edges of the greaseproof paper start to curl away from the watercolor paper. If you need to re-moisten the waterproof paper, lift one corner of the watercolor paper, pour in a teaspoon or two of water underneath, then gently tip the palette so the water runs under the paper. Simply fold up the sheet of grease-proof paper and throw it away, rinse the piece of watercolor paper (this can be reused many times) and the palette itself. If the paper stays moist long enough it can get moldy. Give it a very thorough wash with washing-up liquid and leave it to dry in the sun. If you don't want to buy one of the moisture-retaining palettes available, it's simple to make your own. The advantage (besides cost) is that you can use a container the exact size you want. A shallow plastic container with a tight-fitting lid, such as a food-storage container. It doesn't matter what shape it is. A piece of watercolor paper. A thicker sheet works best as it holds more water. Greaseproof paper (baking parchment). Buy a roll, because you'll replace this every time you clean your palette. Cut a piece of watercolor paper to fit in the bottom of the plastic container. The easiest way to get a good fit is to place the plastic container on the sheet of watercolor paper, trace around it with the pencil, then cut just inside the line. Cut a piece of greaseproof paper the same size. Soak the piece of watercolor paper in clean water, then put it in the bottom of the plastic container. Moisten the sheet of greaseproof paper and put it on top of the sheet of watercolor paper. Squeeze out your acrylic paints onto the greaseproof paper and start painting. When you've finished a painting session, simply put on the lid of the container to keep the acrylics moist until you next pick up your brushes. If you haven't got a suitable plastic container, you can use a baking tray or deep plate and plastic film instead. The disadvantage of using plastic film rather than a stiff plastic lid is that it's likely to touch the paint and is messier to take off and replace. If the sheet of paper begins to dry out, lift one corner, pour in a teaspoon or two of water underneath, then gently tip the palette so the water runs under it. If you cut the piece of greaseproof paper slightly smaller than the piece of watercolor paper, you needn't lift the sheets to moisten the paper.